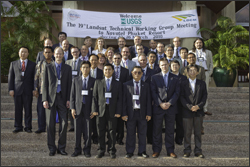 This year’s Landsat Technical Working Group (LTWG-19) meeting was held in Phuket, Thailand, March 22–26, 2010. The meeting was jointly organized by the USGS and NASA and was hosted by the Thailand Geo-Informatics and Space Technology Development Agency (GISTDA). 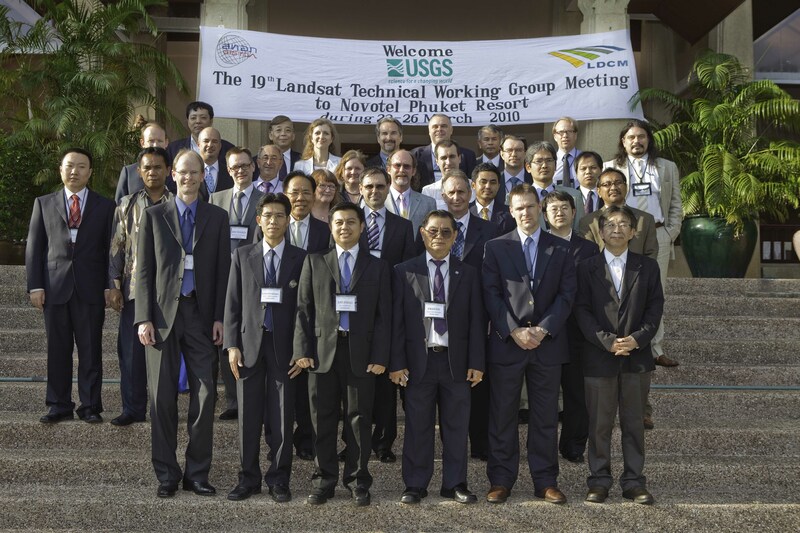 Participants from 9 countries, including members of the USGS Landsat and Landsat Data Continuity Mission (LDCM) Projects, represented 14 international ground stations and discussed a wide range of technical topics. Landsat Project presentations included Landsat 5 and Landsat 7 mission statuses as well as the latest Landsat 5 Traveling Wave Tube Amplifier (TWTA) testing results, Landsat 1–5 Multispectral Scanner (MSS) product development progress, Global Land Survey (GLS) status, the Landsat Global Archive Consolidation (LGAC) initiative, and Data Validation and Exchange (DV&E) enhancements. With the LDCM Ground System (GS) undergoing a major re-architecture activity over the last year, this was also a primary area of discussion. Additionally, much of the LDCM GS has been recently approved by the NASA Export Control Office for technical data exchange exemption, which allowed a more in-depth discussion of LDCM-related technical information. LDCM presentations covered Project and GS status including plans and timelines for LDCM GS processing software availability, Science Data Reception, Science Data Processing, LDCM GS-to-International Cooperator (IC) interface including the IC Web Portal, and a discussion on LDCM DV&E. A Landsat Science Team (LST) update was also presented, providing information on its working group activities and several key research projects.